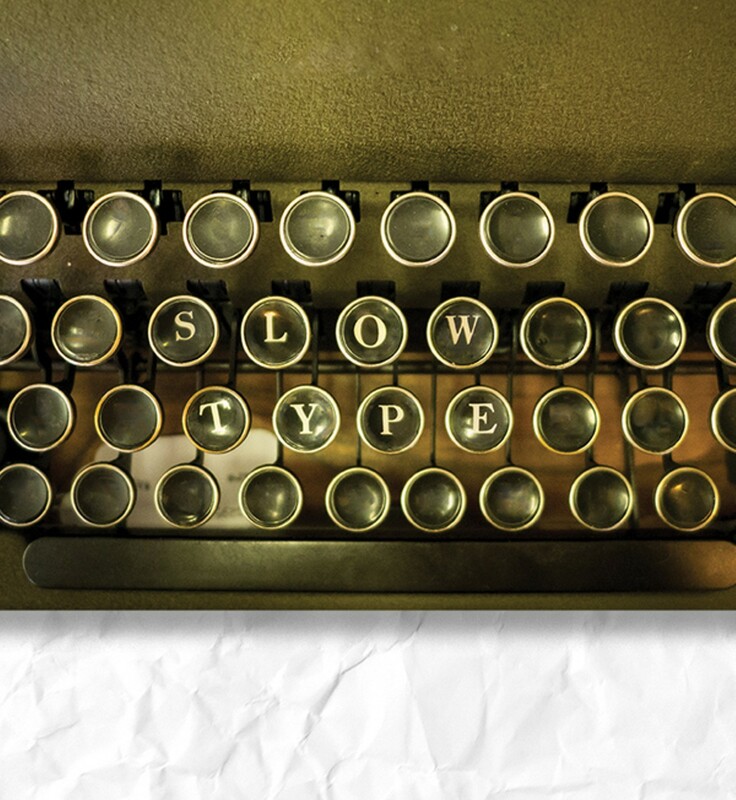 The renewed interest in typewriters isn't just a hipster trend. It's also about slowing down, developing focus, and maintaining a measure of digital detachment. Photo by Brian Awehali. Illustration by Roxanne Pasibe. 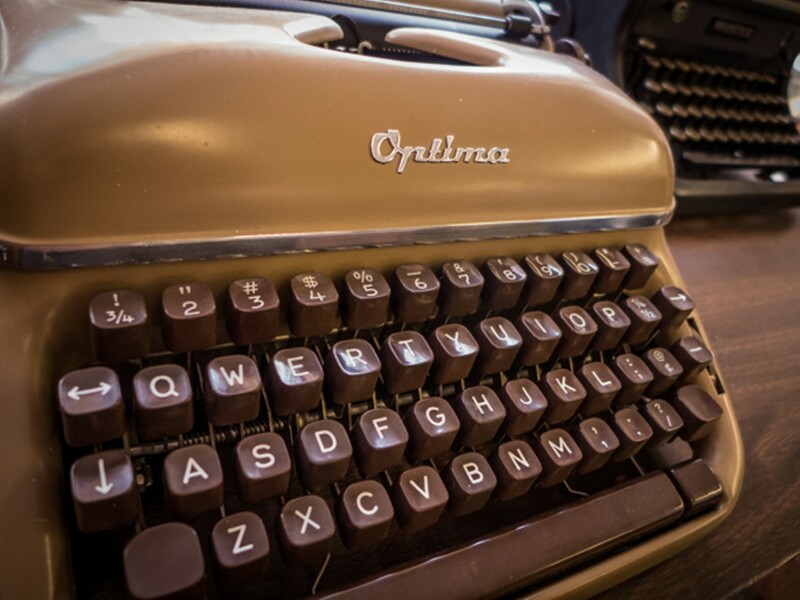 I mentioned an interview with author Cormac McCarthy, who claimed to have written for decades on an Olivetti Lettera 32, doing no more maintenance than blowing the dust out from time to time. McCarthy was not working in pristine environments; he wrote large portions of his sprawling, partially autobiographical novel Suttree on a pig farm and in a barn in Tennessee. Alexander smiled, saying there was no reason the story couldn't be true. "Dust is the main thing. Don't get dust in there, keep it covered, and just use it," he said, noting that the machine I was referring to fetched more than $200,000 at an auction a few years ago. I asked what portion of recent typewriter enthusiasts might be called hipsters — that is, people who are more interested in the cool, retro appeal of typewriters than they are of their utility. Alexander admitted that the store does get such types, "but a lot more people who come in are actually serious users, people who write screenplays, novels, or poetry and who just feel they can't create looking at a computer screen. They've got to have this rhythm, this noise going. We get a lot of people in here saying they've got a computer, but they can't work on it. It's too impersonal." "Yeah, we have a lot of people who are actually doing things with them," agreed Carmen Permillion. "Some of them talk about how they think differently using a typewriter, and how they're less distracted than they are on the computer. 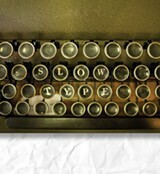 Four or five years ago, we started noticing more young people asking for typewriters. 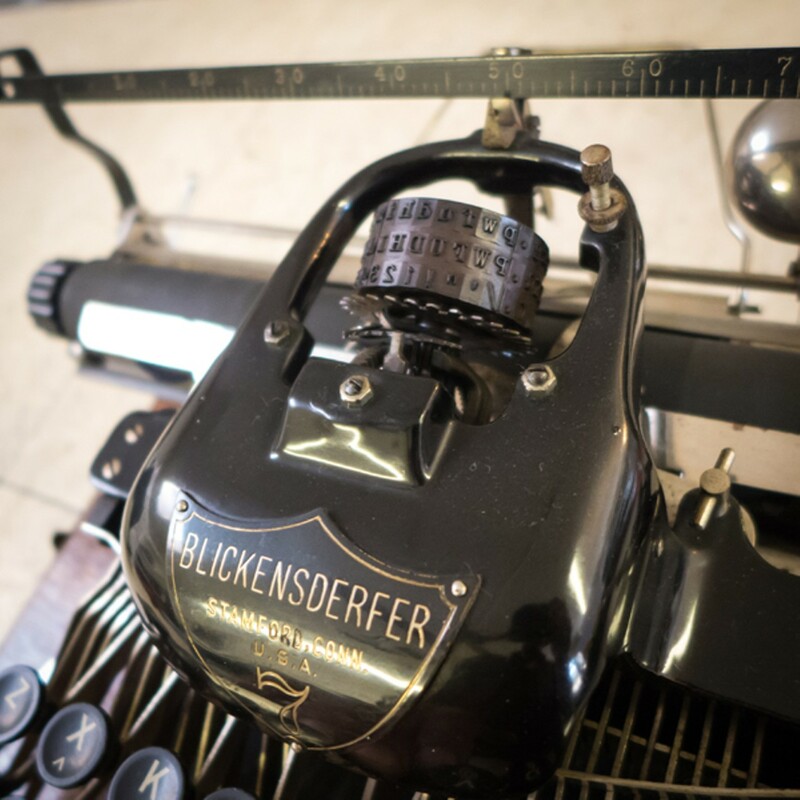 Even though they grew up in the electronic age, a lot of them grew up with a parent's typewriter in the house." "And," she added, "it still works." A typewritten broadside posted in the window of California Typewriter on one of my visits distilled other facets of typewriter appreciation rooted primarily in digital discontent. 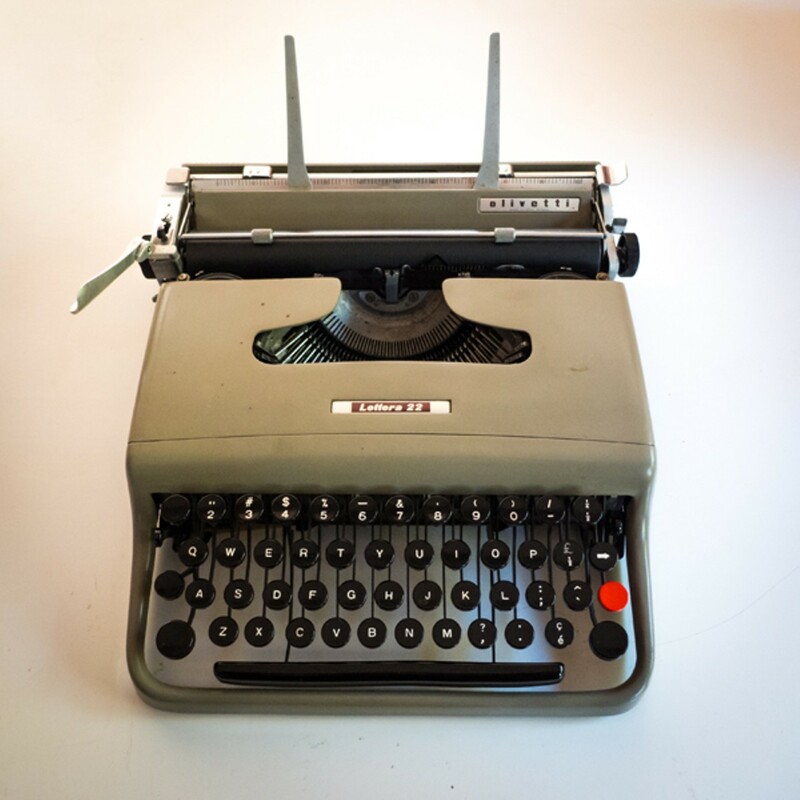 The "Typewriter Insurgency Manifesto," an ever-evolving "open source" document with tongue planted halfway in cheek, was given to the store by its prime author, Richard Polt, during the SF Bay Area Type-In. The document has mutated and been adapted online, but its core has been translated and distributed online in Italian, Portuguese, Serbian, and Swedish. "We assert our right ... to rebel against the Information Regime, to escape the Data Stream," the manifesto begins. "We strike a blow for self-reliance, privacy, and coherence, against dependency, surveillance, and disintegration ... We choose the real over representation, the physical over the digital, the durable over the unsustainable, the self-sufficient over the efficient." 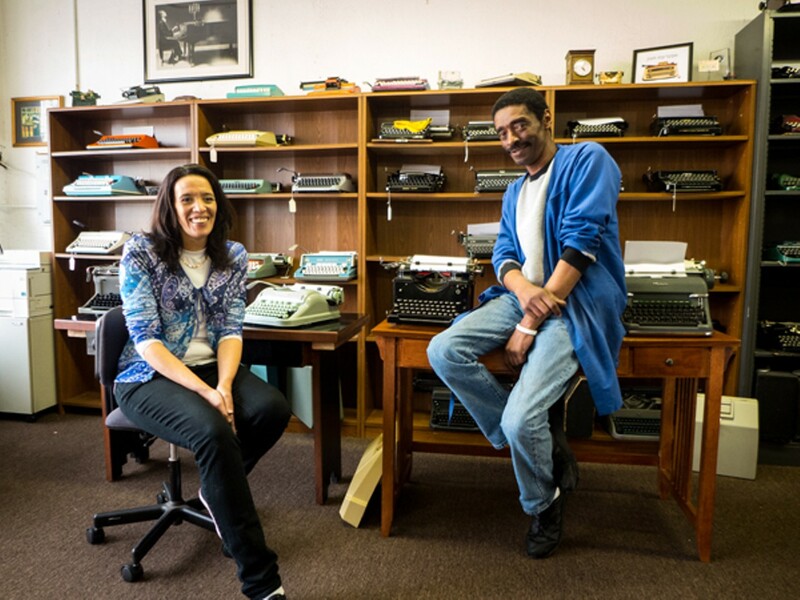 Referencing the manifesto's mention of privacy and surveillance, I asked Carmen Permillion and Ken Alexander about customers who might have expressed privacy concerns as a significant reason for writing on typewriters instead of computers. "Yeah, we get a few people who say that. I mean, we get people in who don't really even want to tell me their name," said Carmen. "Yeah," Ken chimed in. "How do you spell that again? K-A-C-Z...?" A strong desire for privacy doesn't make you a would-be Ted Kaczynski, of course. Critically acclaimed author William T. Vollman was one of the FBI's Unabomber suspects before Kaczynski was apprehended, presumably because Kaczynski had used the pen initials "F.C.," which correlated to the title of Vollmann's "anti-growth" and "anti-progress" 1992 book Fathers and Crows, a brutal depiction of relationships between Jesuits and Iroquois and Huron Native Americans during the 17th-century French colonization of Canada. In a December 2013 essay for Foreign Policy magazine entitled "Machines of Loving Grace," Vollman revealed that by reviewing the 294 of the 785 pages of his FBI dossier that were released to him, he learned he was a suspect in the 2001 anthrax attacks as well, primarily because he'd been a suspect in the Unabomber case. Concerns about privacy in the computer world and a desire to defend what former US Supreme Court Justice Louis Brandeis famously called "the right to be left alone" have never been more valid, and a desire to resist what author Christian Parenti calls the "soft cage" in his book of the same name is another reason for detaching, at least somewhat, from our networked digital devices. "As digital technology spreads, surveillance becomes more ubiquitous, automatic, anonymous, decentralized, and self-reinforcing," wrote Parenti. "Computers create a parallel realm ... of interconnected records and databases, in which we all exist and in which we are all watched." And it's not, in most cases, that we're "'being watched' so much as we are voluntarily 'checking in' with authorities." Many word processing programs and printers insert unique identifying information into files, whether you want them to or not, autosave features can retain material you never intended to keep, and data on your computer or in "the cloud" is relentlessly mined and aggregated. Many of us have become accustomed to having a camera lens facing us, above our laptop screens and on the fronts of our phones, just as we've become accustomed to cameras tracking us at intersections. Like it or not, computers build an ever more detailed map of our movements and behaviors, and, as Parenti noted in his book, such everyday intrusions on our privacy sometimes aren't all that significant in and of themselves, but they are part of a long-term, often clandestine, expansion of routine surveillance in American life.